Happy Friday everyone! It's the week before Black Friday sales hit and I'm hoping Lululemon has something worthwhile to buy and I'm also waiting for Athleta's 20% off sale to start. There's a few things I'd like to order. And of course I'm still trying to come up with Christmas gift ideas for my sister and hubby. Everyone else on my list is already accounted for. 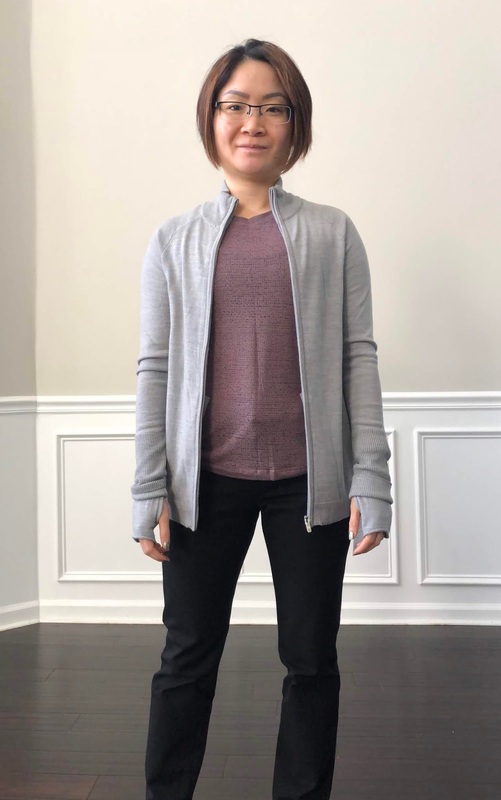 Today I'm reviewing the Align Short and Time To Thrive Jacket (which is really a sweater). For reference I'm 4 feet 11 and typically wear size 4 in Lululemon bottoms and tops. I just want to say, I really really love this sweater. I wasn't expecting to like this at all, so it was definitely a surprise when I tried it on and instantly knew it was a keeper. 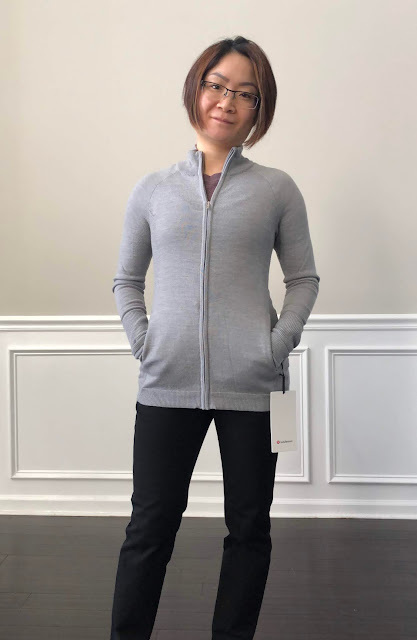 The merino wool is very soft and not itchy at all. I'm wearing my normal size 4 in fitted tops and it's perfect. It is slim fitting but I do expect it to loosen up after a couple of wears. The merino wool is forgiving and stretchy. At first I couldn't decide between silver drop and dark adobe, but decided to go with a neutral. I saw dark adobe in person over the weekend and I think I may order that one as well. Dark adobe is gorgeous in this sweater. 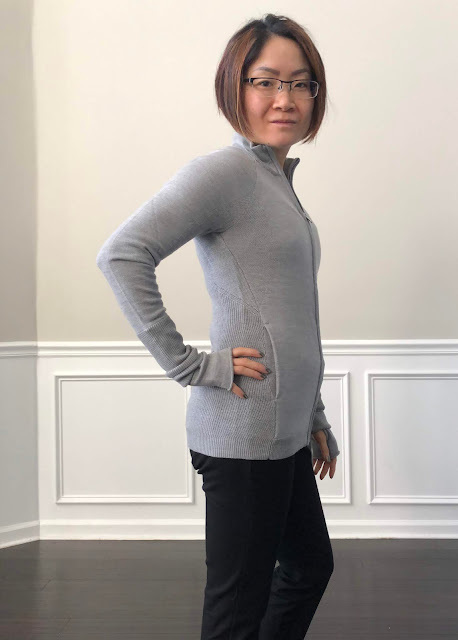 This is such a versatile piece that I think it can work at the office as well as a layering piece for outdoor activities. This sweater is so comfortable I've already worn it a couple of times and it's a piece I know I'll be reaching for a lot. 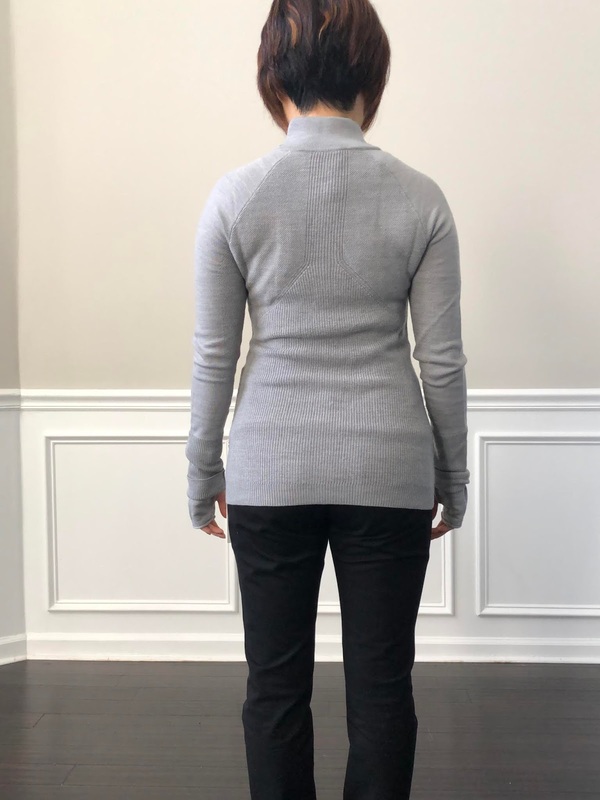 One of my favorite features about this sweater is the hidden thumbholes and double cuff for extra warmth. And boy do I need the extra warmth right now. It's freezing in Atlanta! The temperatures will drop to 29 degrees. I'll be having some hot cocoa tonight after dinner. This sweater is pricey at $128 but I think it's well worth the money. Next up, the Align Short. Ever since Lululemon discontinued the 19 inch Align crops for 21 inches I have not purchased another pair. My wallet isn't complaining even though I whine about it still. 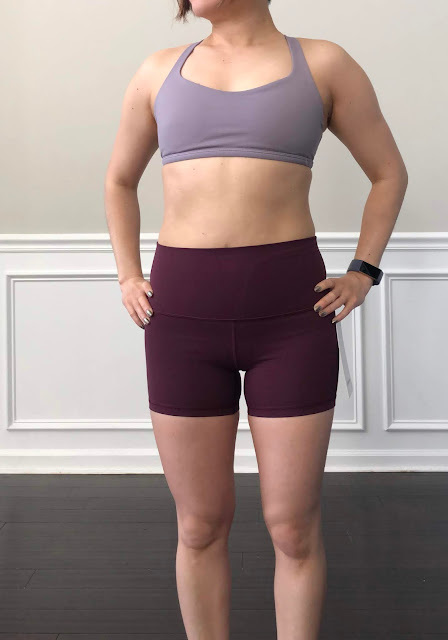 Will Lululemon draw me back in with the Align Short? 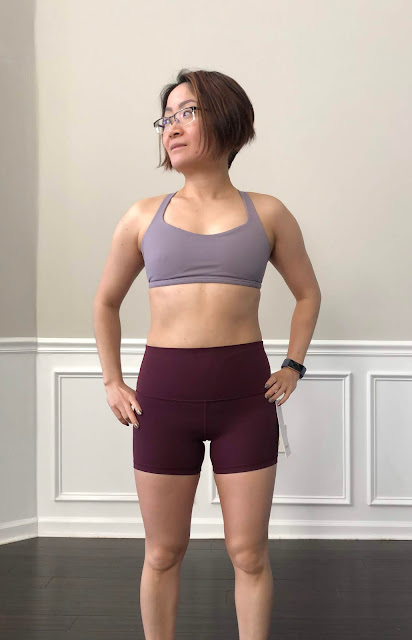 I went with my normal size 4 and I find that it fits exactly like my other Align crops. They sit right at my belly button. The nulu fabric is buttery soft as expected. The opening at the thigh is comfortable. I didn't feel like it was tight or restricting. The length I thought was perfect at 4 inches even on my short legs. If you love Align bottoms you will love these too. I'm tempted to keep these, but I am not really in the market for shorts right now. I can definitely see me adding a few to my closet over time though. I'm just debating if I think dark adobe is the right color to keep! What do you think of the shorts? That's all for me tonight! 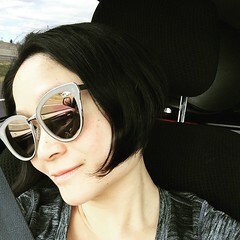 Hope everyone has a fabulous weekend! Thanks for doing the review on the Jacket and you made me wanna order it! I prefer Silver Drop over Dark Adobe cos it pretty much goes with everything. It’s kind of pricey though and I will seriously think about it! Just checked and couldn’t find the Time to Thrive Jacket on the Canadian site. Looks like it’s sold out! Wow is it possible it hasn't hit the Canadian website yet?